World-famous golf. World-class accommodations. Out-of-this-world scenery. Get goosebumps while standing on the first tee at Pebble Beach Golf Links — the No. 1 public course in the country. Park yourself at The Bench around a cozy fire while drinking in one of the best views in golf. Let the bagpiper serenade you during a Spanish Bay sunset. Draw inspiration from the proud Lone Cypress. Discover your own favorite spot along 17-Mile Drive, or our 25 miles of trails, or the serene Stillwater Cove. Join us at Pebble Beach Resorts and make your own unforgettable memories. We invite you to join us this special Centennial year at Pebble Beach Resorts as we relive our storied past. In April, we are celebrating our unique culinary history. 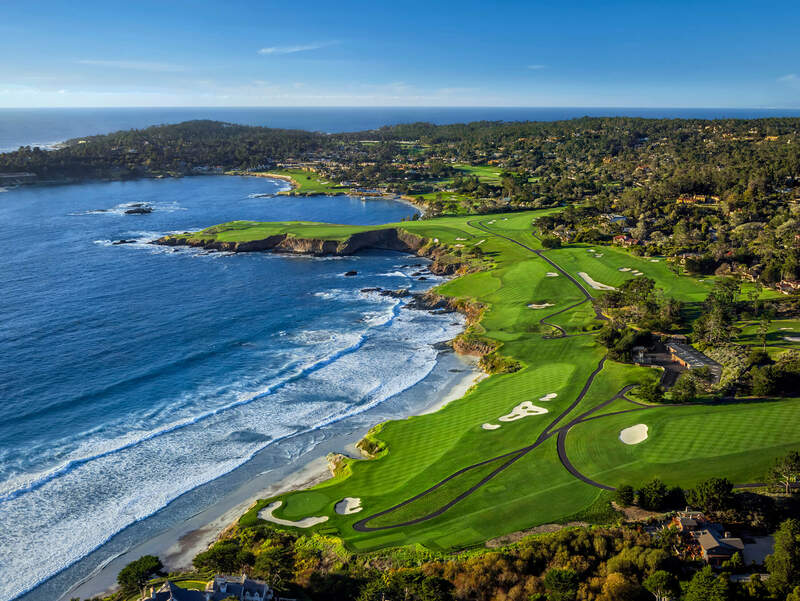 For 100 years, friends and family, celebrities and athletes, world travelers and locals alike, have all flocked to Pebble Beach Resorts. This stunning slice of California’s Monterey Peninsula is a wondrous place that we are proud to share. Join us and experience our rich tradition of Major championship golf, inspiring accommodations, warm hospitality and spectacular recreation.